Henrico County, Virginia is home to over 310,000 residents in the Richmond metropolitan area. The Richmond International Raceway and the Richmond International Airport are located in the Henrico area. Henrico was one of the eight original English shires, or colonies, established in 1634. As such, it is one of the oldest counties in the United States of America. Henrico County was named after Henricus, a community founded in 1611 by Sir Thomas Dale. He led an expedition 80 miles up the James River from the original Jamestown settlement to start just the second European community in the New World. Henrico is one of the oldest political subdivisions in Virginia, and in 1634 it was the second settlement in the colony. It was named for Henry, Price of Wales and eldest son of England's King James I. Archaeologists have identified two prehistoric Indian sites here. In the 1800s, Chief Justice John Marshall's Chickahominy Farm was built here, and the Armour family sold the grounds to Henrico County in 1999. During the Civil War, Henrico County was the site of numerous battles during what has been called the Peninsula campaign. Some of these battles were: Seven Pines. Oak Grove, White Oak, Swamp, and Malvern Hill. 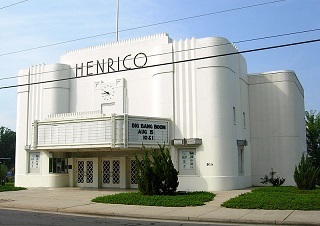 Henrico is identified in the National Register of Historic Places. Henrico is home to an historic golf course. The Belmont Golf Course was designed in 1916 by famed golf course architect Albert Warren Tillinghast, one of the best architects of his time. In 1927, the course was re-designed by another famed architect, Donald Ross. In 1949, the course hosted the PGA championship which was won by Sam Snead. Golf enthusiasts will love the history and the quality of this course. A popular park is Echo Lake Park. It includes a 12-acre lake where the entire shoreline is accessible to the public. There's a fishing pier, walking trails, and lots of open space. Dorey Park is the site of the Henrico Concert Band In The Park series. Families can bring blankets and lawn chairs as they enjoy a relaxing evening by the lake. The Henrico Theater, in nearby Highland Springs, hosts a variety of arts performances. It was built in 1938 and served as a bomb shelter during World War II. The RVA Wake and Sunfest is a Labor Day festival that features water activities, half pipes, live music and more than 50 vendors. A great holiday tradition for families is the Dominion GardenFest Of Lights. This festival features more than half-a-million lights along with trains, special holiday dinners, and family activities. The community is also a real center of sports competition. Local, regional, and national tournaments are often held here. Some of the popular fields include RF & P, Dorey, and Tuckahoe Parks. The Armour House and Gardens at Meadowview Park is a wonderful place for the family to enjoy history and the outdoors in the same day. Edmund Christian built the home at Meadowview in 1915. The prospective home buyer will find a wide variety of homes for sale. Henrico real estate includes homes that have historic significance. 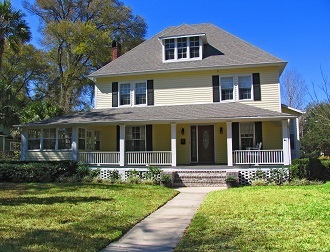 Early 20th century bungalows that have been meticulously updated can be great starter homes. Newer homes for sale in modern subdivisions can be wonderful for relocating families. Real estate in Henrico also includes developed lots on which your custom home can be built. Call Philip Hoffman today, 804-794-2662. He has a line on the best deals on real estate in Henrico County.